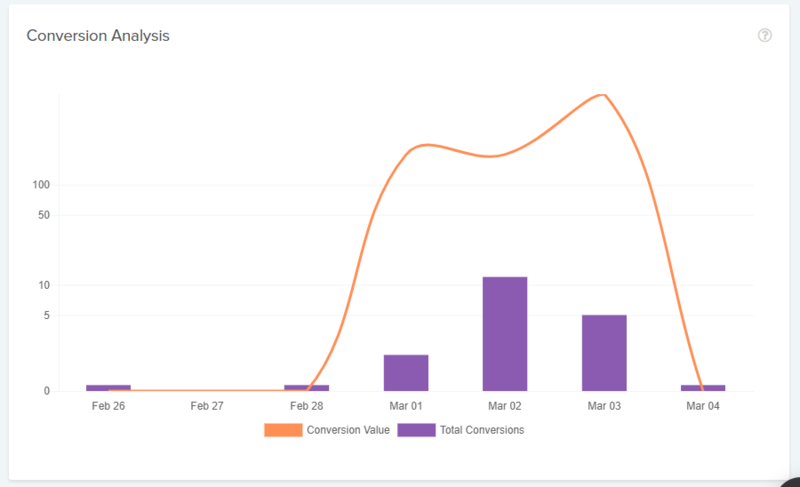 Why should you use the conversions tracking feature? How to apply conversions tracking to your domains? How to set a value for a conversion? Why should you use the conversion tracking feature? Tracking conversions provides a better understanding of your legitimate customers' behavior, allowing to differentiate fake traffic from genuine traffic. When a conversion takes place, ClickCease will study the customers behavior prior to the conversion event and will take it into account before blocking IPs in the future. This method aids us in minimizing the number of false positive IPs to a minimum. How to apply conversion tracking to your domains? The conversion tracking feature is enabled by placing a small HTML snippet to your "thank you" page. The "thank you" page is the page where your new customers arrive just after completing a purchase. You can find your conversion tracking code on the dashboard by choosing "Track Conversions" from the left dashboard menu. The code has to be installed on the "thank you" page right after the <body> opening tag. How do I set a value for a conversion?